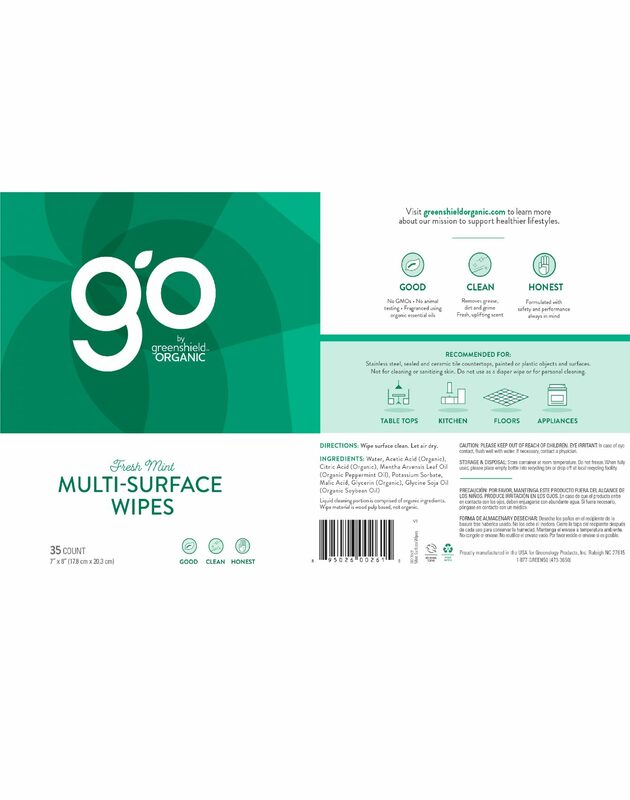 Cleaning without harsh chemicals has never been easier. 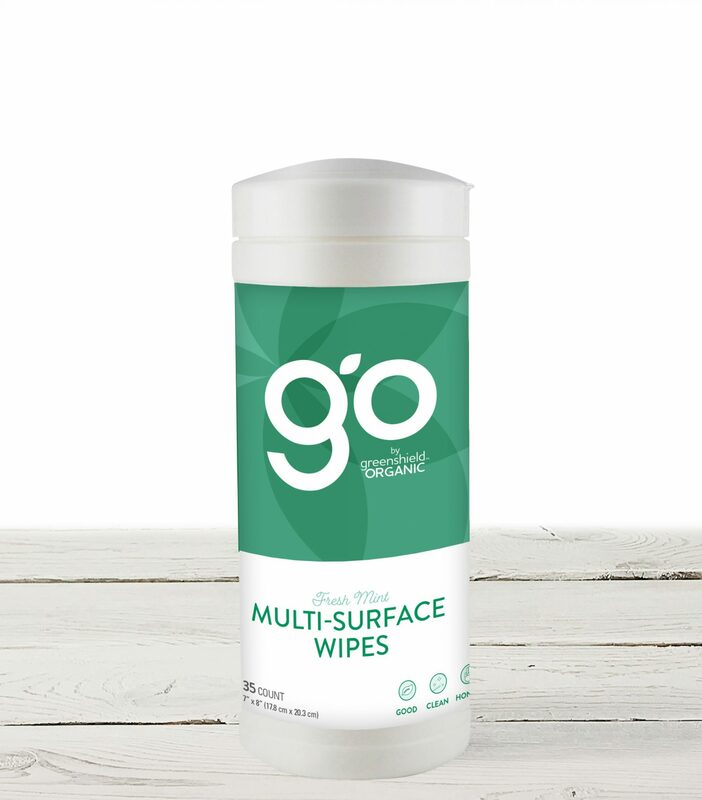 Our Multi-Surface Wipes are specially formulated to easily trap dirt, grime and other debris and make clean up a breeze. Enjoy the invigorating scent of fresh mint, made with organic essential oils. Wipe surface clean. Let air dry. Recommended for: Stainless steel, sealed and ceramic tile countertops, painted or plastic objects and surfaces. Not for cleaning or sanitizing skin. Do not use as a diaper wipe or for personal cleaning. Water, Acetic Acid (Organic), Citric Acid (Organic), Mentha Arvensis Leaf Oil (Organic Peppermint Oil), Potassium Sorbate, Malic Acid, Glycerin (Organic), Glycine Soja Oil (Organic Soybean Oil). Liquid cleaning portion is comprised of organic ingredients. Wipe material is wood pulp based, not organic.